Riceboro’s renowned Gullah Geechee Civil Rights activist and Pan Africanist, Jim Bacote, passed away quietly in his home last Sunday, May 6, 2018. In the Islamic tradition, his body was washed, wrapped, and laid to rest two days later at a simple life celebration of prayer and burial at Greenwood Cemetery in Brunswick, Georgia. 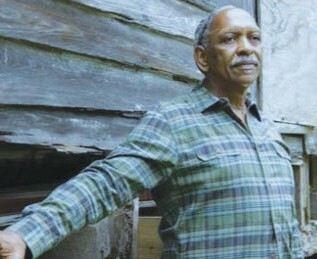 “When an old man dies, a library burns to the ground.” This African proverb captures the life of Jim Bacote who returned to his ancestral home here in Liberty County in 2000 to contribute to the preservation of African history and culture that developed along the Sea Islands. I paid a visit to the Geechee Kunda Cultural Arts Center and Museum compound the day before the funeral and I found Pat Bacote, Jim’s wife and co-creator of the cultural site, surrounded by a community of women. They were holding one another up with stories, laughter, and wisdom. When I approached the open-air pavilion of the Welcome House, I hesitated to interrupt the gathering. But Pat looked back at me and said, “Why are you standing back there? Come on and join us. You’re a woman. Speak up and let us know you’re here.” That is what Geechee Kunda is all about. “Geechee” (also Gullah Geechee) refers to the African-based living culture that has survived for more than 250 years through enslavement, the eras of Reconstruction and Jim Crow, and it continues to thrive from North Carolina, South Carolina, Georgia, and North Florida. It includes foodways, language, art, and community. And “Kunda” means house of hope. In other words, Pat was saying “Wa jine we!” Translation: Come and join us! This story was written by Hermina Glass- Hill. She is a scholar, author, and public historian. She is the executive director of the Susie King Taylor Women’s Institute and Ecology Center in Midway, Georgia.